Before we go further, let's take a look at those screenshots. The shots look pretty awesome. 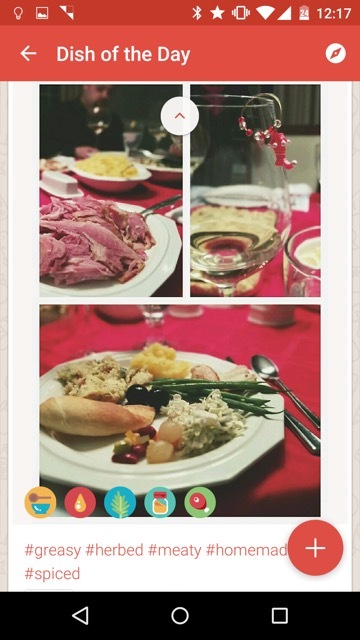 The idea behind Tablescape seems fun, and gives perfect justification for snapping mobile photos of your food without shame. But before posting about the rumor, we wanted to do a little digging to figure out whether the screenshots should be considered real. 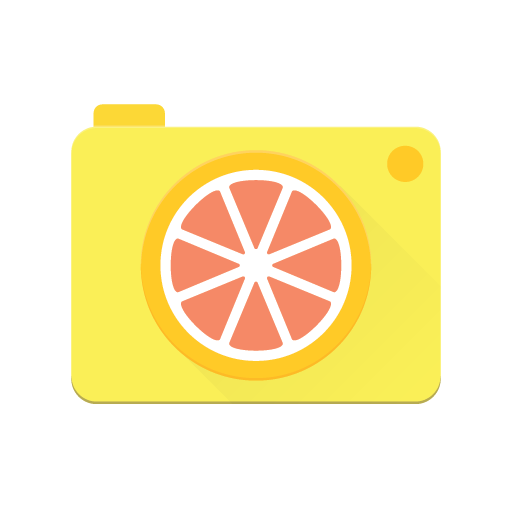 At first glance nothing seems too far-fetched, though things like the disproportionate FAB icon, use of ribbon headers, and textured background seemed a bit off when considered along with Google's other products. The shots have been censored to hide some information, but there's still some info visible that would help us investigate this a little further. 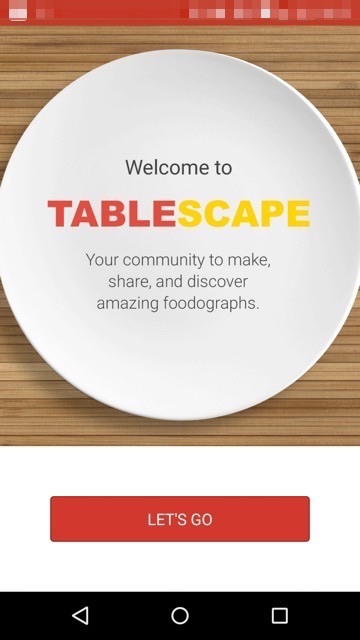 Since all the evidence we found for Tablescape is already publicly visible, we haven't censored the screenshots any further. First, a couple of really simple facts line up: Jessica Pfund, whose name shows up in the shots, is in fact a Googler, and presumably only Googlers (and maybe trusted testers) would have access to Tablescape right now. 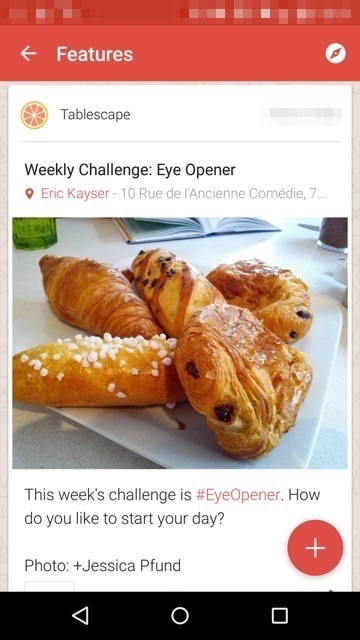 Second, Eric Kayser is indeed a real place, and it is located at 10 Rue de l'Ancienne Comedie in Paris. 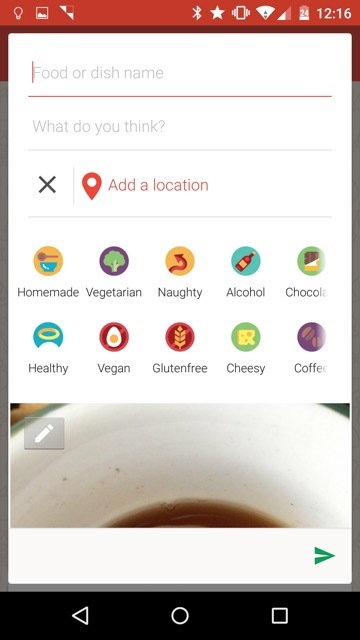 Pfund is also a member of a group on Google+ called The Plate, which appears to be a community (of about 2,000 members) for sharing food photos. 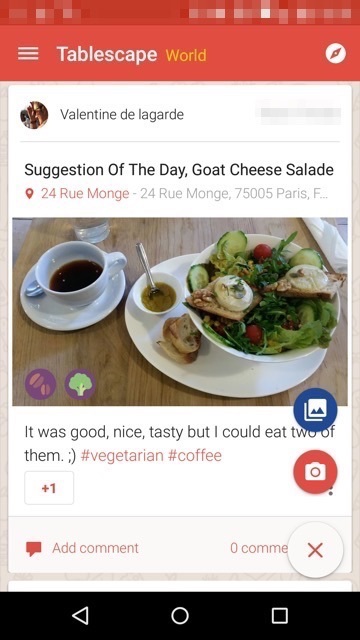 Valentine de Lagarde (another name from the shots) is also a member of the group, and posted the same goat cheese suggestion January 15. 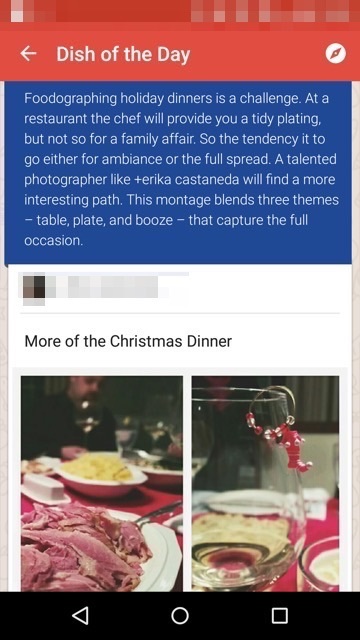 The post from the screenshots titled "More of the Christmas Dinner" can also be found on The Plate. 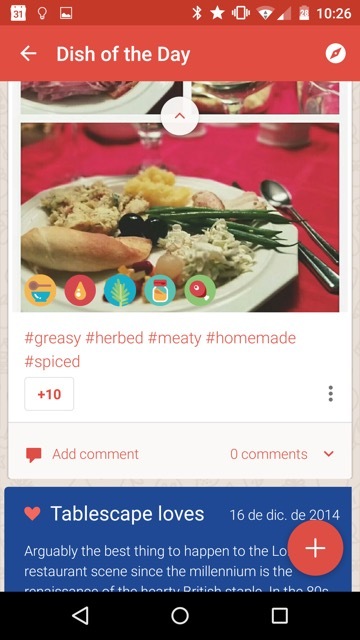 And the "Pro Tip #12" post, explaining how to get a great photo composition, shows up on a profile called The Plate. This profile is, incidentally, the creator of the above-mentioned community of the same name. Looking at the about page for that profile shows that it's followed by several Googlers. 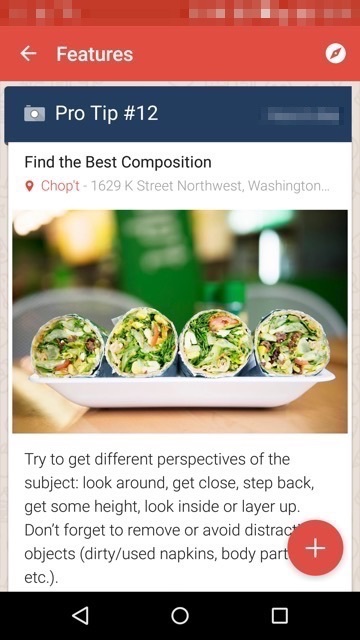 So in summation, the screenshots contain a lot of real info, including real photos and posts, posted by real people on Google+, and some of those people are Googlers. So, what's the conclusion? 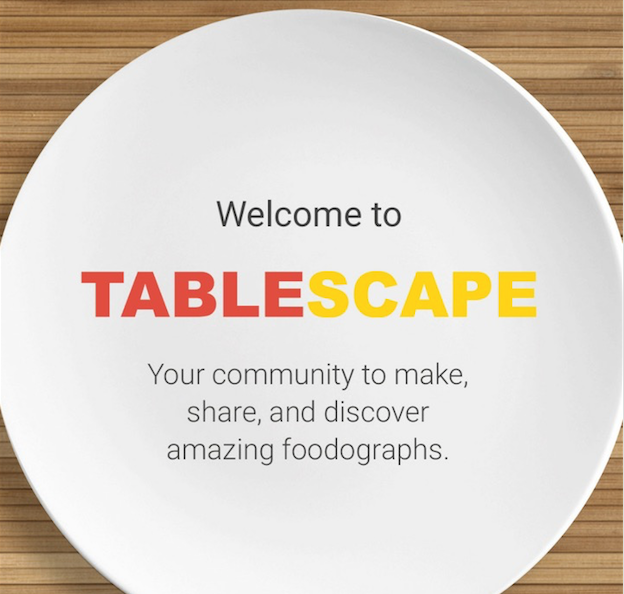 The most probable answer is that Tablescape is a product experiment taking place at Google, using The Plate as a funnel for content. 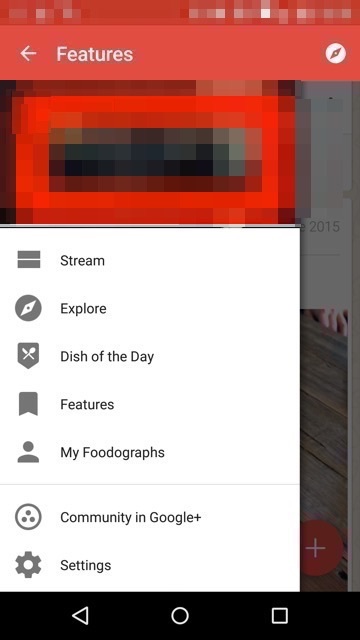 Posts from The Plate would be piped into the Tablescape interface for users to interact with. Whether this project will ever see the light of day as a real product is anyone's guess, but while we wait for official word, what do you think?